Property 66: Chalet "La casetta di Cutigliano"
Property 75: Sea view villa w/ garden, terraces & BBQ - beaches in every direction! Property 77: Mountain chalet at the foot of the Matterhorn. Rimasco: Ideal for nature lovers in a mountain of a thousand colors. Property 80: Rimasco: Ideal for nature lovers in a mountain of a thousand colors. 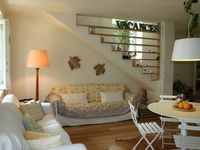 Property 83: Loft in the woods, in the hills near Asolo, an hour's drive from Venice. "The House of the Elves"
Property 86: "The House of the Elves"
Cozy chalet in the heart of the Etna Park, ideal for couples. Property 97: Cozy chalet in the heart of the Etna Park, ideal for couples. chalet with air conditioning lugano-como-varese-menaggio-lago di lugano-milano-lugano. Property 98: chalet with air conditioning lugano-como-varese-menaggio-lago di lugano-milano-lugano. First of all - the location is stunning! It is perfect for walking and hiking. A big number of routes and surroundings with awesome views. 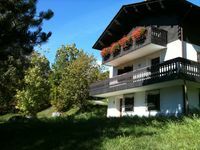 The chalet is very nice with everything you need (it exactly matches the description and photos). There is a very nice small garden with the mountain view which is perfect to have a rest on the sun after the great hike. Also thank you Marialuisa for very warm and welcoming reception. Really nice place, taking care of details would make it exceptional! This apartment is a real gem. It's location is in a beautiful high point of Bormio with exceptional views. This would be one of my favorite locations if some details were taken care of. The things that need to be fixed to take this place from 4 to 5 stars.... The post advertised internet, there was none available. This is not usually a problem but this was a working vacation and one of the main reasons we chose this place was it was advertised as having net access. As someone in an earlier review pointed out there is no shower curtain in this apartment. This makes for a wet affair if you have children. There was also only one quarter of a roll of toilet paper available, and stores were closed before we noticed. The bed in the main bedroom is two single beds join together with a middle joining piece and was not comfortable. It felt like you were going to roll off the bed. No coffee maker. The apartment was clean and the host that met us for check-in were super nice, taking the time to point out grocery stores and great places to eat. The large fire place was a focal point in the evening with the entire family gathered around. We hope the owner addresses the issues pointed out and takes his place to the next level.